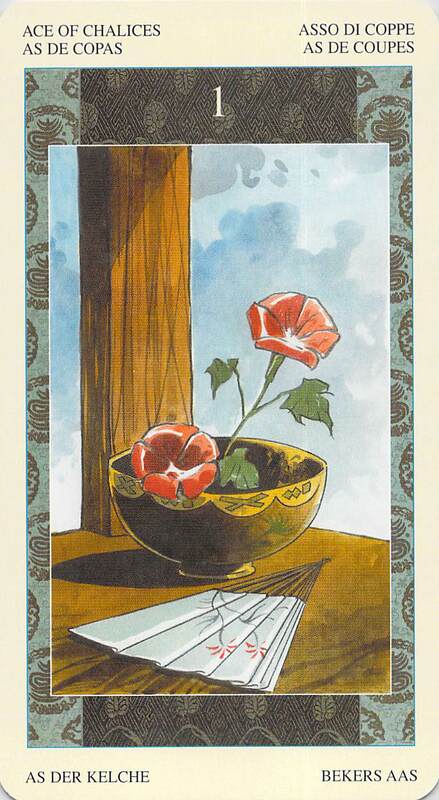 I’m posting these cards rather late again today, but you don’t need me to tell you that it’s been a good day, a day of peace and harmony, especially in the family (Ten of Cups). However, though it should be a day in which we feel joyful, it may be that many of us are simply drained (Ace of Cups reversed). We need to take time to enjoy this peaceful time — to make some tea, refill our cup, and recharge our batteries. And this is the time and place for recharging…so take time to do this. Turn off the computer and go spend time with your family or go outside (bring a fan like the one on this Ace of Chalices card–it’s hot out there!). I just noticed that WordPress has added an advertising link to the word “batteries.” 😦 Just letting you know that wasn’t my idea!! That deck is quite beautiful! I’ve been a bit tempted to try out a deck that is east-Asia inspired. Thanks–I’m so glad you liked it! These cards are beautiful! What deck is it? 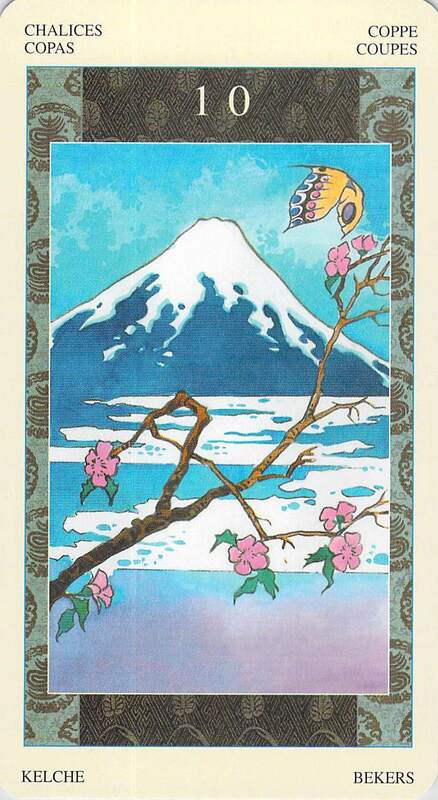 It’s the Samurai Tarot, from Lo Scarabeo. They are beautiful cards! are they difficult to learn if you’re only familiar with rider-waite?